High-resolution audio: everything you need to know | What Hi-Fi? In the last few years, "high-resolution audio" (or "hi-res audio") has slowly but surely hit the mainstream, thanks to the release of more products, streaming services and even smartphones supporting the hi-res standards. Why should you care? If you want the best digital music experience possible or, at least, better sound quality than you're currently used to, we think hi-res audio is worth investigating. It can be a daunting prospect, and there are many factors involved: what exactly constitutes hi-res audio, what do all the different file formats and numbers mean, where can you get these high quality files, and what devices do you need to play it? That's where we come in - our handy guide will take you through the ins and outs of hi-res audio. By the end, we hope you'll know everything you need to know (and then some) about hi-res audio, and be well on your way to enjoying your new and improved sonic lifestyle. In its simplest terms, hi-res audio tends to refer to music files that have a higher sampling frequency and/or bit depth than CD - which is specified at 16bit/44.1kHz. Sampling frequency (or sample rate) refers to the number of times samples of the signal are taken per second during the analogue-to-digital conversion process. The more bits there are, the more accurately the signal can be measured in the first instance, so going 16bit to 24bit can deliver a noticeable leap in quality. Hi-res audio files usually use a sampling frequency of 96kHz or 192kHz at 24bit. You can also have 88.2kHz and 176.4kHz files too. Hi-res audio does come with a downside though: file size. A hi-res file can typically be tens of megabytes in size, and a few tracks can quickly eat up the storage on your device. Thankfully, storage is much cheaper than it used to be, so it's easier to get higher-capacity devices. That said, the size of the files can still make hi-res audio cumbersome to stream over your wi-fi or mobile network. That's not all: there are also several different hi-res audio file formats to choose from, all of which have their own compatibility requirements. They include the popular FLAC (Free Lossless Audio Codec) and ALAC (Apple Lossless Audio Codec) formats, both of which are compressed but in a way which means that, in theory, no information is lost. Other formats include the uncompressed WAV and AIFF formats, DSD (the format used for Super Audio CDs) and the more recent MQA (Master Quality Authenticated). The relative merits of each of the formats can be argued, but the most crucial issue will be the file's compatibility with your chosen products and software. MP3 (not hi-res): Popular, lossy compressed format ensures small file size, but far from the best sound quality. Convenient for storing music on smartphones and iPods, but doesn't support hi-res. AAC (not hi-res): An alternative to MP3s, it's lossy and compressed but sounds better. Used for iTunes downloads, Apple Music streaming (at 256kbps) and YouTube streaming. WAV (hi-res): The standard format all CDs are encoded in. Great sound quality but it's uncompressed, meaning huge file sizes (especially for hi-res files). It has poor metadata support (that is, album artwork, artist and song title information). AIFF (hi-res): Apple's alternative to WAV, with better metadata support. It is lossless and uncompressed (so big file sizes), but not massively popular. FLAC (hi-res): This lossless compression format supports hi-res sample rates, takes up about half the space of WAV, and stores metadata. It's royalty-free and widely supported (though not by Apple) and is considered the preferred format for downloading and storing hi-res albums. ALAC (hi-res): Apple's own lossless compression format also does hi-res, stores metadata and takes up half the space of WAV. An iTunes- and iOS-friendly alternative to FLAC. DSD (hi-res): The single-bit format used for Super Audio CDs. It comes in 2.8mHz, 5.6mHz and 11.2mHz varieties, but isn't widely supported. MQA (hi-res): A lossless compression format that packages hi-res files with more emphasis on the time domain. Used for Tidal Masters hi-res streaming, but has limited support across products. The main claimed benefit of high-resolution audio files is superior sound quality over compressed audio formats. Downloads from sites such as Amazon and iTunes, and streaming services such as Spotify, use compressed file formats with relatively low bitrates - such as 256kbps AAC files on Apple Music and 320kbps Ogg Vorbis streams on Spotify. The use of lossy compression means data is lost in the encoding process, which in turn means resolution is sacrificed for the sake of convenience and smaller file sizes. This has an effect upon the sound quality – those formats aren't telling the full story of our favourite songs. This might be fine when you're listening to Spotify playlists on your smartphone on the bus on the morning commute, but serious audiophiles and music fans should want better. This is where high-resolution audio comes in. To illustrate why it should sound better than MP3, for example, let’s compare the relative bitrates. The highest quality MP3 has a bitrate of 320kbps, whereas a 24bit/192kHz file has a data rate of 9216kbps. Music CDs are 1411kbps. The hi-res 24bit/96kHz or 24bit/192kHz files should, therefore, more closely replicate the sound quality the musicians and engineers were working with in the studio. And they could be that very same recorded file, too - these files are labelled as "Studio Masters" in some cases. With more information on the file to play with, hi-res audio tends to boast greater detail and texture, bringing listeners closer to the original performance - provided your system is transparent enough. What do I need to play hi-res audio? There's a huge variety of products that can play and support hi-res audio. It all depends on how big or small you want your system to be, how much your budget is, and what method you'll mostly be using to listen to your tunes. If you're going portable, smartphones are increasingly supporting hi-res playback. This is restricted to flagship Android models, though, such as the current Samsung Galaxy S9 and S9+ and Note 9 (they all support DSD files), and Sony's Xperia XZ3. LG's V30 and V30S ThinQ's hi-res supporting phones are currently the only ones to offer MQA compatibility, while Samsung's S9 phones even support Dolby Atmos. Apple iPhones so far don't support hi-res audio out of the box, though there are ways around this by using the right app, and then either plugging in a DAC or using Lightning headphones with the iPhones' Lightning connector. High-res-playing tablets also exist and include the likes of the Samsung Galaxy Tab S4. At MWC 2018, a number of new compatible models were launched, including the M5 range from Huawei and Onkyo's intriguing Granbeat tablet. 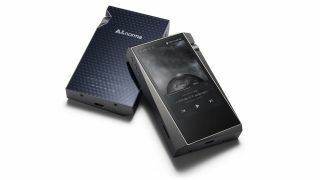 Alternatively, there are dedicated portable hi-res music players such as various Sony Walkmans and Astell & Kern's Award-winning portable players - these offer more storage space and far better sound quality than a multi-tasking smartphone. And while it's far from conventionally portable, the stunning £8000 Sony DMP-Z1 digital music player is packed with hi-res and DSD talents. For a desktop solution, your laptop (Windows, Mac, Linux) is a prime source for storing and playing hi-res music (after all, this is where you'll be downloading the tunes from hi-res download sites anyway), but make sure the software you use to play music also supports hi-res playback. Apple iTunes, for instance, doesn't support it, even if your MacBook does, so you'll need to buy and download separate music playing software. The likes of Channel D's Pure Music and Amarra are worth considering for a Mac. On a PC? Try JRiver Media Center. We wouldn't just rely on your computer or phone's internal DAC to do hi-res audio justice, either. A USB or desktop DAC (such as the Cyrus soundKey or Chord Mojo) is a good way to get great sound quality out of hi-res files stored on your computer or smartphone (whose audio circuits don't tend to be optimised for sound quality). Simply plug a decent digital-to-analogue converter (DAC) in between your source and headphones for an instant sonic boost. If you're after a proper hi-fi set-up, you'll need to look into music streamers that support hi-res - contenders include the Cambridge CXN, Arcam rPlay and Naim Uniti Nova. This is especially if you'll be storing your growing hi-res library on a NAS (Network Attached Storage - essentially a hard-drive with processing built in), which we recommend. There are plenty of other products that also support hi-res playback, including hybrid DAC-amp-streamer systems (Moon Neo Ace), speaker systems with everything built into them (KEF LS50 Wireless) and current AV receivers (Sony STR-DN1080). The ever-popular Sonos multi-room system still has no plans to support hi-res audio (and neither does Apple), but it's led rival companies such as Denon and Bluesound (whose second-gen system has won multiple Awards) to offer hi-res playback across their range of connected products (for a higher price, of course). Even smart speakers such as the LG WK7 support hi-res audio now. You don't have to completely abandon your vinyl collection to go hi-res, either. Turntables such as the Sony PS-HX500 let you rip your tracks from vinyl into hi-res audio files. As always, we'd strongly recommend good quality headphones or a good pair of stereo speakers to really hear the full benefits of hi-res recordings. You may have even seen 'hi-res' headphones on the market - these need to produce an upper frequency of at least 40kHz, claiming to handle the full spectrum of hi-res audio and offer, in theory, better sound quality. Where can I buy and download hi-res music? Now that you're armed with all this information on hi-res music, your next question should be: where can I get all these glorious hi-res music tracks? There are currently a handful of UK download sites that let you buy and download single tracks and full albums in various hi-res formats. There are also plenty of US and European sites, though not all of them let you purchase from the UK. Major music labels such as Sony, Warner and Universal have made their extensive music catalogues available to these hi-res download services – which is a real shot in the arm for fans of high-resolution audio. With all sites, make sure it’s clear what file format and bitrate you are buying. Ultimately, you may end up with a favourite go-to site, but even then, it's worth checking across the different sites for the same album or track, too, as some stores can offer better prices than others. With a strong catalogue offering hi-res music from all genres and a website that makes buying music easy, 7digital is an excellent all-rounder. There's an accurate search function and the website is simple to navigate. You can easily spot hi-res recordings thanks to a '24bit FLAC' badge on an album or song's thumbnail, and there's also a dedicated hi-res section. The sole drawback is that it only offers downloads in the FLAC format. Prices are affordable, though, and you can buy individual tracks as well as full albums. Music discovery and front-end intuitiveness get full marks on French download store Qobuz. Both the website and dedicated app are easy to navigate, and you can search by genre or new releases, which can be sorted by sample rate. There is a strong Francophile focus, although the catalogue is growing more varied every day. Pricing is competitive, but if you opt for the hybrid download-and-streaming Sublime+ service (£350 per year for streaming 24bit/192kHz files) you do get discounts when buying hi-res albums. Like the now-defunct Technics Tracks, Onkyo Music's hi-res download store is the result of a partnership with the 7Digital music platform - so it's the same catalogue and pricing as the other two sites. While we didn't find it as intuitive as the others when we first tested the service in 2016, the interface and search functions have since been through a redesign - we'll be putting it to the test in due course. On the plus side, it has an entire section dedicated to MQA downloads, with hi-res and MQA logos clearly visible, so you know exactly which format you're buying. HDtracks may be one of the most established hi-res download stores, but it's in need of a refresh in looks and catalogue. It can feel aimed at an older audience (there's strong focus on jazz, classical and dad rock), which can be off-putting for wider audiences, especially fans of more current, popular music. The cluttered interface looks dated, you can't really buy individual tracks and hi-res albums tend to be pricey. On the other hand, whereas other download sites offer FLAC as default, HDtracks lets you choose between FLAC, ALAC, WAV and AIFF (and the sampling rate for each) before downloading. There's a selection of DSD tunes, too, which is great for audiophiles. Where can I stream hi-res music? Not ready to download hi-res files, or prefer streaming? Tidal and Qobuz streaming services now offer hi-res audio files alongside standard CD-quality streams, putting them ahead of rivals Spotify and Apple Music. Tidal and MQA's partnership has brought us one step closer to mainstream hi-res music streaming. You'll need to subscribe to Tidal's HiFi tier (which offers CD quality streaming) to unlock the Masters section, and download the desktop app. You can only stream 'hi-res' MQA files through the desktop app for now; the mobile app and web player top out at CD quality. Tidal claims a 30,000-strong catalogue of MQA files, with about 400 clearly labelled. The MQA files have a resolution of up to 24-bit/96kHz (any 192kHz files will be unpackaged to 96kHz by MQA's core decoding). With the right kit, the streamed tunes sound great, too. It's a solid foundation from which the hi-res streaming experience can only evolve. Qobuz strikes again here and says its hybrid download-and-streaming tier is '"the best music subscription in the world." This top tier package offers hi-res streaming up to 24bit/192kHz files (as well as MQA and CD quality tracks) on its desktop and mobile apps. It has a 70,000-strong catalogue of 24bit/192kHz files, and 40 million other hi-res content (everything above CD quality). The big downside is the price - you have to pay an upfront £350 annual fee to use Sublime+ and all its perks (which includes discounts when buying hi-res albums). And in comparison, we found Tidal offers more drive and dynamism when it comes to sound quality. Qobuz's hi-res streaming tier is a great venture, but only if you're fully committed to hi-res streaming. What's next for hi-res audio? With more support than ever before, hi-res audio is a viable choice for anyone interested in audio quality, whether part of your home audio system or when on the move. Whether the big players - Apple, Sonos, Spotify - will ever support hi-res remains to be seen, but there are plenty of other (and increasingly affordable) ways that you can start delving into the hi-res audio world.